Today was a beautiful day here -- bright sunny and warm. We were busy all day long today and didn't get to our Costco run until late this afternoon. While browsing around Costco to check for anything new...I was browsing along their "wall of cheese", but didn't see anything that struck me...until my eye caught the little red mesh net bag of mini Babybel cheese wheels (a semi-soft French version of Dutch Edam cheese, each encased in a red wax coating). While they've always carried them, for some reason they caught my attention today. When I looked at the bag of them, I instantly envisioned them stuffed into burgers and grilled so they would get melty and soft when cut into. That little vision made me go ahead and grab a bag of them. Sometimes that is how a thought or idea comes to me -- I look at one thing and see something else! LOL Our dinner was so simple, and so delicious. 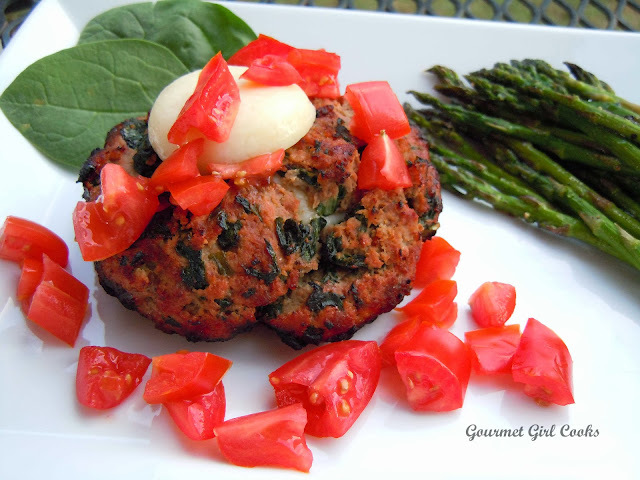 I didn't want the burgers encasing those little Babybel cheese wheels to be plain, I wanted them to be tasty flavorful burgers. So, we stopped quickly at the grocery store on our way home and I ran in and picked up a few items and then got to work on my burgers as soon as we got home. 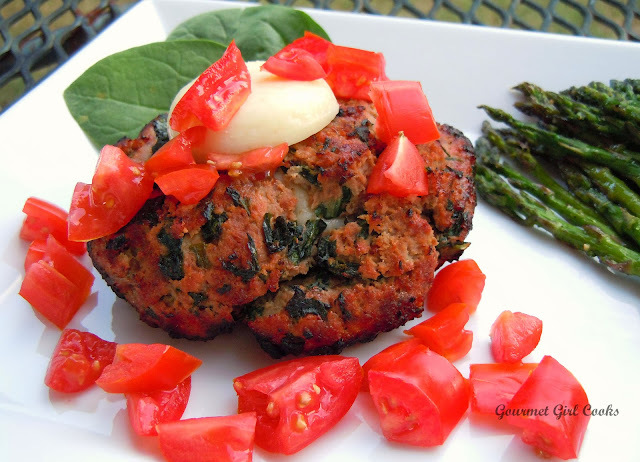 I got ground sirloin to make them because I like its flavor for making burgers with. 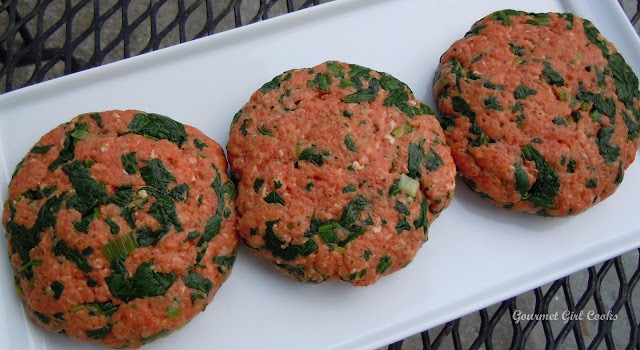 I picked up a 6-ounce bag of fresh baby spinach and quickly wilted half of it along with a sliced green onion and mixed it with the ground beef and added some seasonings and then shaped my burgers around the individual mini Babybel cheese wheels, sealing the meat carefully around the cheese so it wouldn't melt or ooze out as it cooked. They turned out so delicious and while I have put cheese inside burgers before, I had never used Babybel cheese, and found out that it doesn't liquify like other cheeses often do -- it got melty and soft but stayed thick and intact -- it was a perfect cheese to encase inside a burger. I sliced another little wheel of cheese in half and placed it on top of the burgers when I served them so it would soften and add a bit more cheese to the burgers, then topped them with diced mini San Marzano tomatoes. 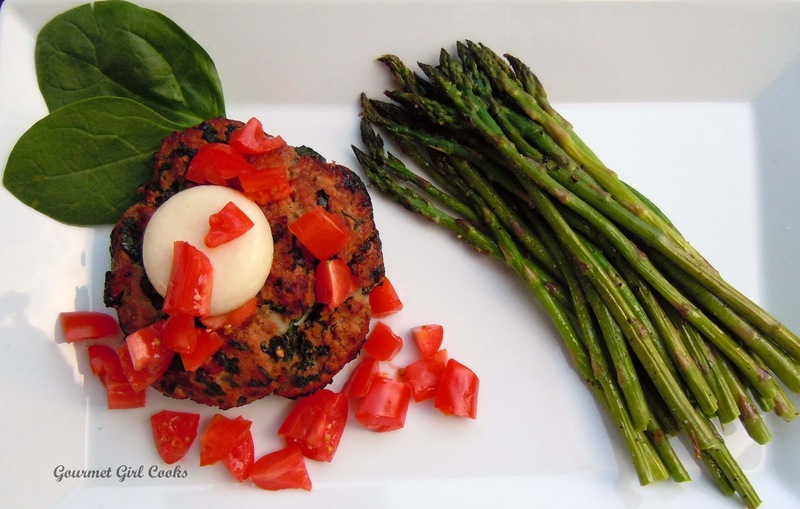 We had fresh roasted asparagus with our burgers -- it was a simple and delicious meal. I can't wait to make these burgers again! I snapped a few photos below as well as the simple recipe for the Stuffed Babybel Burgers. Enjoy! In a medium bowl, combine ground beef, spinach, onion, ketchup, mustard, salt and pepper; mix with hands just until evenly combined, careful not to overwork the meat. 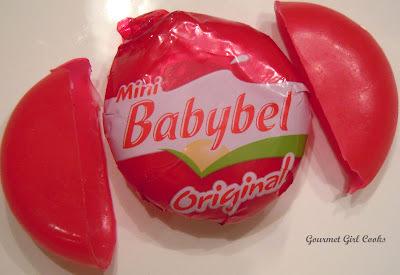 To make 4 burgers, take one Babybel cheese and form the burgers around each cheese wheel, carefully pressing meat to seal well so no cheese escapes as the burgers cook. 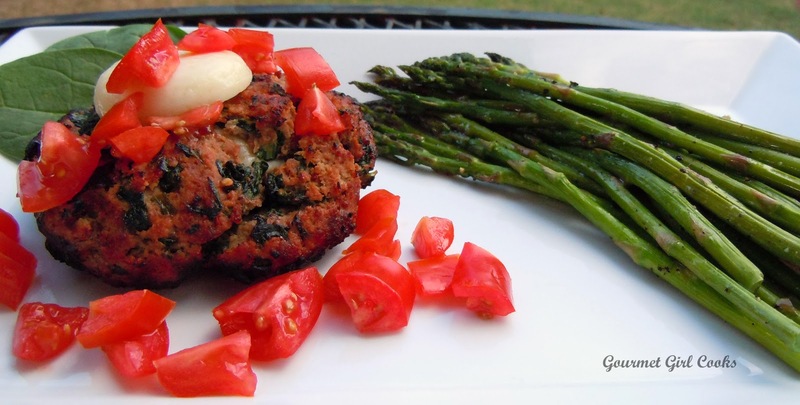 Set aside remaining 2 wheels of cheese to garnish burgers with after cooking. Grill burgers over a medium-hot grill for about 5 to 7 minutes per side, or to desired doneness. Burgers may also be cooked in a lightly greased skillet over medium heat until done. While burgers are cooking, slice the 2 remaining wheels of cheese in half lengthwise (so you have 4 thinner wheels of cheese). When burgers are done cooking, transfer to a plate and immediately top with a remaining slice of Babybel cheese and garnish with diced fresh tomatoes, if desired. now that is cruel...it's dinner time for me and my dinner is not going to be that good!!!! LOL XOXOOXOX thanks for posting! Oh, boy...I'm going to have to make these! Do you have suggestions on ready-made ketchup without HFCS or cane sugar? I might have to make my own.